A lot of attention is paid to the vaccine schedule for young children as an important preventative tool for infants and school-aged children against communicable disease. However, as we age, our immune systems weaken and we are more susceptible to a wide variety of communicable diseases. As medical technology advances and more diseases are proven to be prevented through immunization, it is important for aging adults to also keep up on vaccines to prevent potentially fatal disease transmission or complications resulting from comorbidities of chronic disease. 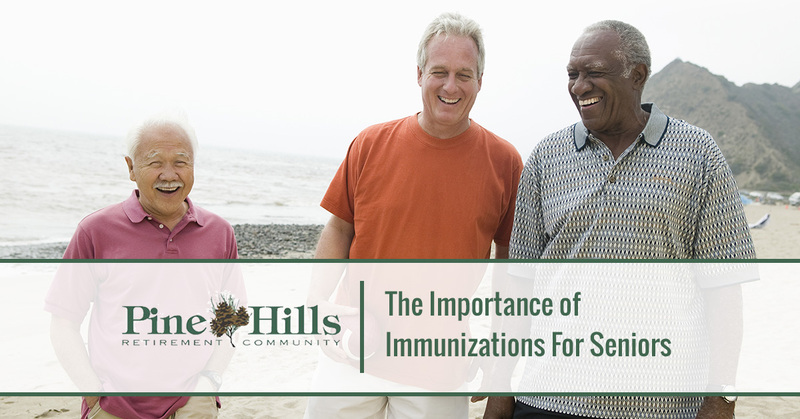 Join us for today’s post where we will discuss some of the immunizations that older adults should receive, regardless of childhood immunization status. Every person that does not have a severe contraindication to the immunization should receive a flu shot every year. The flu shot is increasingly important for those who are considered high risk for infection such as young children, those with a weakened immune system, pregnant women, and the elderly. If you have not had your flu shot yet this year, you can request one from your physician or get one at any pharmacy. Chances are, you have had at least one tetanus immunization at some point in your life. However, over the decades, combination vaccines such as Tdap — tetanus, diphtheria, and pertussis — and Td — tetanus and diphtheria — have emerged to provide additional protection against preventable diseases. If you have not had any of these vaccines in the last 10 years, it is time to get one! Tdap is especially important if you will be around babies as pertussis can be fatal. It used to be thought that if we had chickenpox (varicella) as a child, we couldn’t get it again. While this tends to be true, the same virus is what has been discovered to cause shingles zoster later in life. However, shingles zoster tends to be much more painful and just as contagious as chickenpox. For this reason, it is recommended that aging adults get the shingles vaccine, regardless of whether you’ve had the chickenpox or the varicella vaccine, or shingles. There are two types of zoster vaccine — you should receive two doses of RZV at age 50 and one dose of ZVL at age 60 or older. Pneumococcal vaccines are recommended for most people at some point in their lives but become increasingly more important when diagnosed with certain medical conditions including HIV, kidney disease, spleen disorders, heart or lung disease, diabetes, or liver disease. Again, there are two different types of pneumococcal vaccine. Based on your medical condition, you should receive at least one dose of PPSV23 and one dose of PCV13. In addition to those discussed above, there are several other vaccines that you should receive if you did not get them as a child or younger adult. These vaccines include varicella — regardless of whether or not you’ve had the chickenpox — Hepatitis A, Hepatitis B, and Hib (Haemophilus influenza type b). 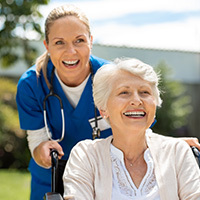 According to the Department of Health and Human Services (HHS) vaccine-preventable diseases can have much more serious complications in the elderly and may even result in long-term illness, hospitalization, and even death. These complications can be further exacerbated by chronic medical conditions that are more likely to affect the aging adult including heart disease, diabetes, and hypertension. For more information, review the adult vaccine schedule from the Centers for Disease and Prevention (CDC), take the quiz to find out which vaccines you should have, and speak to your physician about getting them. As you age, it is important to take good care of your health to help you live a long, comfortable life. Additionally, immunizations also help protect the ones you love via herd immunity — the resistance to the spread of a contagious disease that results if a sufficiently high proportion of individuals are immune to the disease. At Pine Hills Retirement Community we believe in supporting healthy habits and encouraging immune support to prevent health complications. We also strive to provide a community free of vaccine-preventable communicable disease. We simply want to provide a comfortable retirement community for you to relax and enjoy the life you worked so hard for. For more vaccine information or schedule your tour, contact us today!